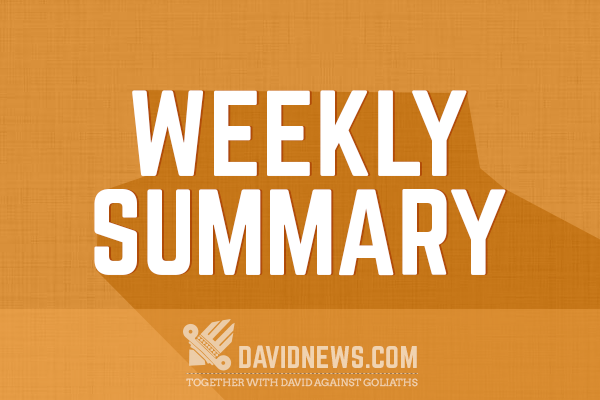 Another week is over, and I can say that previous week was calm but best of all every project that is on DavidNews.com monitoring list continued to deliver excellent profits for DavidNews readers. I'm sure this week will be no different, and we will continue to receive constant profits from all the projects that are monitored here. As usually in this article I will inform you about all most important newsletters that were sent out within the previous week and I hope you will like this article. By the way, later today I will publish a very interesting interview with one HYIP administrator, and I'm sure every one of you will enjoy it, but for now summary of the previous week. Billionearn - An unusual project that from a design point of view seems that it is targeted to Russian-speaking HYIP players. I still have not reviewed this project but I plan to do that tomorrow, so stay tuned for deeper insight into this project. PayGet - This project was added to DavidNews Golden Stage listing yesterday, and administrator from the start purchased the most expensive listing for a month and five banners for a week. By the way, this is not only thing why this project is exciting - it offers fascinating and unusual investment plan: Investment plans: Starting from 1st to 10th day 0.20833% hourly (5% daily), from 11th to 20th day 2.5% every 12 hours (5% daily) from 21st to 30th day 5% every 24 hours, initial deposit included in the payments. More information in the review later this week. This is a long-term project that is full of potential. Why is it full of potential? Just because project offers low daily yield, the initial deposit is included in the payments, and it grows without any big boom. Because project grows slowly, but gradually it is possible that continuing like this it could become to be one of the greatest projects of this year. More information about this project you will be able to find in the monitoring section. We incorporated a new company in London - COMEX Premier Limited. You may check its details in Companies House. Register number of COMEX Premier Limited is 10102672. We are ready to start world representatives program in the nearest time so please stay tuned to the news. Thank you for choosing COMEX Premier Limited as your Premier Brokerage Firm. Within previous week administration informed that they have incorporated a new company in the UK. To be honest, I do not think that those are big news, but at least, that is one thing that makes this investment program to look more real (of course we all know how close to reality HYIP investing is). If you would ask what one of the most promising projects today where is investment the most money in development than for sure I can say that it is Shareholder IC. I wrote a review about this project very recently, and if you would like to find out more about this promising project, please click here. According to demands of numerous investors from around the world, Vietnamese was added to the language bar. The language layout of the site now consists of 10 languages: English, Dutch, Portuguese, Italian, Russian, Hindi, French, German, Spanish and Vietnamese. P.S. The active shareholders, who are interested in the long-term and fruitful cooperation, may require to the management of Shareholder IC to insert necessary languages on the official website of the Company. According to demands of numerous investors from around the world, Turkish was added to the language bar. The language layout of the site now consists of 11 languages: English, Dutch, Portuguese, Italian, Russian, Hindi, French, German, Spanish, Vietnamese and Turkish. P.S. The active shareholders, who are interested in the long-term and fruitful cooperation, may require to the management of Shareholder IC to insert necessary languages on the official website of the Company. Within previous week administration of Shareholder IC continued steady growth. Administrator informed that two new languages were added for users convenience - Vietnamese and Turkish. I must say that I like the way how this proejct grows and if administrator will continue in the same fashion than it is possible that this project could become a blockbuster later this year. While I was quite sceptical about this project in the review that I published administrator have proven that he understands what he is doing and operates this project pretty well. Of course, I still think that this project is quite young to say that it is one of the biggest of this year as some others state, but if administrator will continue in this way it can reach a lot. More information about in in the monitoring section. We would like to inform all our users who have made deposits in Payza that due to security check made by Payza (upon our request when we spotted a suspicious transaction) our Payza account has been temporarily locked. This means that all Payza withdraws can not be processed due to this limitation. We have replied to Payza already & provided all the information that was asked & we expect that we will have full access to our account within the next 36h. This will have absolutely no effect on other Payment processor withdraws as we are processing them within normal time frame. Thank you your understanding of this current situation with Payza. We will inform you when we hear from the support on this issue. We contact you because you've deposited into Copper Trade Pro via Payza. As you probably know our account has limited access now & we won't be able to process withdraws until Payza has finished checking it. So as an intermediate solution, we would like to offer to convert your active Balance (amount that you can withdraw) to the E-currency of your choice. If you accept this, please, respond to this e-mail & specify which E-currency you'd like to be paid to. This will be done only during the time that we can not process Payza withdraws. When we receive the reply from Payza (mid next week according to their estimation), then we will revert to paying in Payza, of course. Herewith we would like to inform you that Payza has restored our account & we are able to process all pending Payza withdraws now. Please, resubmit those again so that we can process them as top priority. Thank you for staying loyal to us during this time. We will keep making everything possible to make CTP one of the best online investment programs in 2016 & beyond. All newsletters that were sent out this week was about Payza issue that people were not able to deposit and withdraw using Payza. I'm glad that administrator solved this problem relatively quickly and today also all Payza users can use this project normally. So, this is all this week and I'm euphoric about this stability in the industry. Unlike a year ago when projects came and went today we see that projects stay and this brings more trust to the industry because we all know that we can earn here if we invest in the right time. I wish you a successful week and see you around in the chatbox! I would like to advise that you pick the #1 Forex broker. If you are looking for the #1 Bitcoin exchange service, then you should pick Coinbase. Claim free satoshis over at CLAIM BTC Faucet. 21 to 57 satoshis every 20 mins.